Taylor County High School's Future Farmers of America chapter will kick off its activities for National FFA Week today, Monday, Feb. 17. According to the organization's website, the week-long tradition started in 1947 when the National FFA Board of Directors designated the week of George Washington's birthday as National FFA Week in recognition of his legacy as an agriculturist and farmer. Campbellsville/Taylor County Fourth of July Celebration committee members are already at work planning and preparing for what they promise to be the biggest, best and most anticipated July fourth weekend in all of Campbellsville history. As the celebration grows, so does the need for passionate volunteers to serve on the committee. While winter's cold and wet weather shows no sign of relenting anytime soon, members of the Taylor County Fair Association are already getting warmed up for this year's fair. 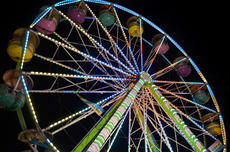 For the first time in the fair's 17-year history, the amusement rides and attractions will be extended to nine days. The carnival will open Friday, May 30, and run through Saturday, June 7. It might seem a little early for swimming trunks and bathing suits outside, but Campbellsville University wants residents to put their courage on ice. Scheduled for Saturday, Feb. 22, at 1:30 p.m., the Tiger Plunge will pit the human spirit against Mother Nature as CU students, faculty and staff, along with members of the community, run through the fountain in the center of CU's Alumni & Friends Park. Campbellsville University began its 2014 chapel series on Wednesday, Jan. 15, with a theme of "Finding Your Compass." The Rev. Dave Walters, vice president for admissions and student services, asked students to perform random acts of kindness as well as "paying it forward" when he requested them to "find your compass" for life. Taylor and Green county residents can receive free help with income tax preparation from the AARP Foundation Tax-Aide program. 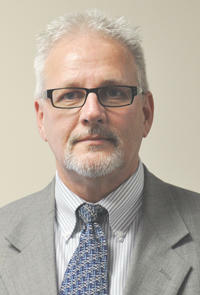 Electronic filing will be available free of charge. AARP membership is not required for assistance. Counselors providing the help are retired business people with considerable experience in tax matters. This year's counselors are Brenda Cook, Carolyn Scott, Kathy Curry, Gail Munday and Bettie Jo Russell. 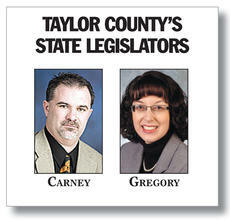 State Rep. John "Bam" Carney, R-Campbellsville, and State Sen. Sara Beth Gregory, R-Monticello, will host a legislative forum at Taylor County Courthouse on Monday, Jan. 20, from 5:30 to 7 p.m. to brief constituents on the 2014 legislative session. The forum is free and open to the public. "I'm looking forward to visiting with constituents in Taylor County and sharing information about the session," Gregory said. Campbellsville University will celebrate the legacy of Dr. Martin Luther King Jr. with guest speaker Dr. Forrest E. Harris, president of American Baptist College, at 7 p.m. Wednesday, Jan. 22, at Ransdell Chapel. Greater Campbellsville United is a co-sponsor of the event, and Joshua Percell and Courageous will perform. Taylor County Fair Association recently announced that a contract has been signed with a new company to provide the midway at next year's Taylor County Fair. The new contract is with Miller Spectacular Shows based in Greenbrier, Ark. "We are very excited to be bringing in what we believe will be a very high quality midway and hope this is the beginning of a long-term relationship for our fair and Miller Spectacular Shows," said Mike Litchfield, president of the Taylor County Fair Association. One hill, one home, one heart at a time. That's the internal campaign pastor Dave Walters said is moving through Lowell Avenue Baptist Church and its surrounding community. About a year ago, the church mapped out nearby streets and assigned members of the congregation a street to walk through and pray for the people who live there.